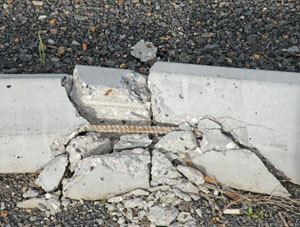 As most concrete wheel stops are around 150mm in height they do not comply with AS2890.1:2004. The standard specifies a maximum height of 100mm. 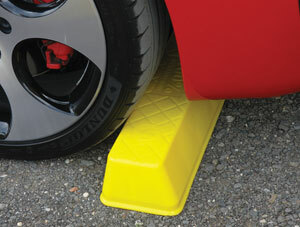 This allows a clearance for most modern cars without causing damage to the front of vehicles. 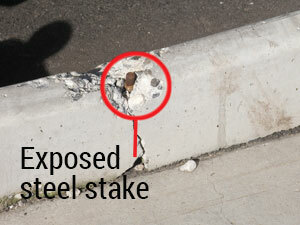 Shattered concrete wheel stops often leave behind 150mm steel fixing spikes dangerously exposed to the pedestrian public or vehicles. Car park builders and operators need to be aware of their responsibilities and liability in the event of someone falling on one. Concrete wheel stops are very heavy often weighing 100kg or more and requiring at least two men or mechanical lifting to install. They are inflexible and brittle and can be easily broken. They are particularly vulnerable at the fixing points. Another problem with concrete wheel stops is that they have to be fixed from the top with spikes. While spikes may locate the wheel stop OK, they do not have hold-down power. 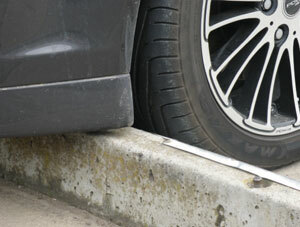 This means that, unlike screw fixings, they are very easily rolled over by parking vehicles. ...sort of defeats the whole purpose really! Are one-piece plastic wheel stops better? They may not break up as easily as concrete, but they do pretty good 'banana' impersonations, especially in hotter climates. Because they are moulded in one long length and thicker at the base than at the top, there is always a tendency to bow upwards at the ends. Are recycled rubber wheel stops the answer? Is quite simple really. If you want a wheel stop that won't fade, crack or warp and is more likely to stay where you put it, you need the Compliance Wheel Stop. The Compliance Wheel Stop has been designed to comply fully with AS2890.1:2004. They are 100mm high so legal height vehicles will never be damaged by them. 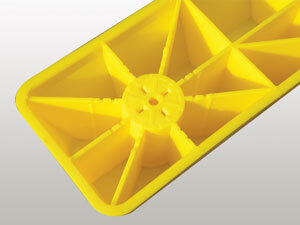 They are manufactured from 100% recyclable ultra tough and durable LLDPE (below). The one-piece design of the Compliance Wheel Stop uses four high-strength fixing points for maximum holding power. This also eliminates warping. 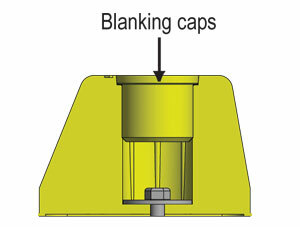 Fixings are recessed, and capped (blanking caps included) to prevent rubbish build up. 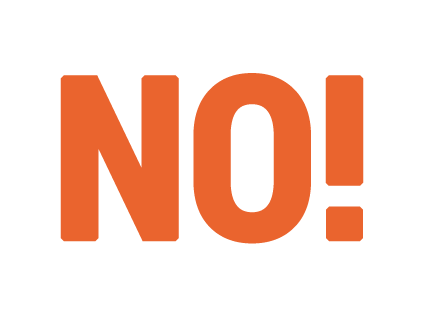 Compliance is shatter proof, flexible and U.V. stabilised so they won't fade, crack, warp or corrode. They are injection moulded in high visibility safety Yellow, disabled Blue or concrete Grey LLDPE (see below) and 100% recyclable. LLDPE or Linear Low Density Polyethylene is a high tech modern polymer. Its qualities include being highly flexible with good elongation properties that allow it to stretch and flex. LLDPE also possesses enhanced puncture resistance, impact resistance and tensile strength. LLDPE is largely inert and has good chemical resistance properties, but perhaps the most useful property is its ability to retain structural integrity at lower thicknesses than traditional materials. 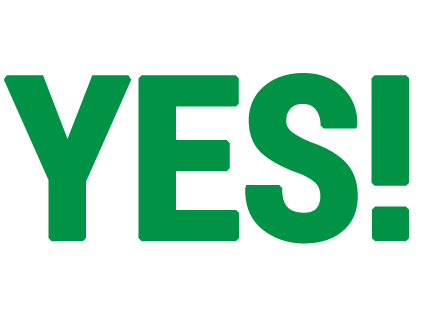 This allows manufacturing of thinner wall products without the loss of strength while conserving both materials and the environment.